Little examination of Jamaican popular music is necessary to reveal the creativity of Leroy Sibbles. The charismatic singer, bass player, arranger, and songwriter is best known for his work as lead vocalist of The Heptones, but a closer look at his session career reveals an enormous contribution to the feel and direction of Jamaican music through one of its most creative eras. As ska slowed to rock steady in the mid to late 1960s, Sibbles occupied a key position at the 13 Brentford Road studio of Clement “Coxson” Dodd. 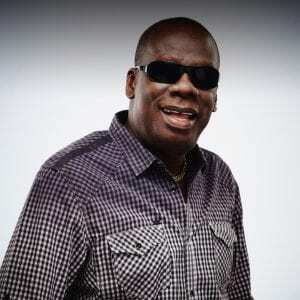 In addition to his work with The Heptones, Sibbles was a session bassist and arranger at Studio One during a time that much of Jamaica’s most enduring popular music was recorded. Sibbles and Heptones’ co-founders Barry Llewellyn and Earl Morgan met in the mid 1960s, around the time Sibbles’ first group auditioned for Duke Reid’s Treasure Isle studio. Reid declined the opportunity to record that group. Llewllyn and Morgan recruited Sibbles and formed the Heptones, and Ken Lack of Caltone accepted the trio was accepted for a session. Sibbles describes the initial chemistry of the three singers. “It’s a spiritual thing . . . cause is not nothing that was planned that we said ‘this is exactly what we wanted.’ We came from Trenchtown. As kids growing up, the direction was there for us. It happened. Like magic. It was nothing that we studied . . . When we get together, that magic always comes about.” The trio’s initial recordings for Lack were “School Girls” and “Gun Man Coming to Town.” Though the songs didn’t achieve hit status, the latter composition made the playlists at Radio Jamaica Rediffusion (RJR) and fueled the trio’s determination. The Heptones were among the most prolific and influential groups of the rock steady era, along with the Pioneers, Gaylads, Paragons, Hamlins, Uniques, and Techniques. Signature Heptones songs included “Baby,” “Get In The Groove,” “Ting A Ling,” “Fattie Fattie,” “Got To Fight On (To The Top),” “Party Time,” and “Sweeting Talking.” The group’s Studio One output has been collected on albums The Heptones, On Top, Ting A Ling, Freedom Line, and the more recent Heartbeat anthology, Sea of Love. The transition from the blazing rhythms of ska to its mellower offspring, rock steady, was one of the most important changes in the history of Jamaican popular music. Rock steady was characterized by several elements. Most prominent was the drop of snare drum on the third beat of the measure (which would also be found in reggae). Rock steady adapted from ska a rhythmic emphasis on every upbeat, but the rhythm guitarist played this part instead of a saxophonist. Rock steady was more rigid than later reggae, which would readapt some of the looser polyrhythmic characteristics of Jamaican mento, particularly the use of triplets. The “big band” horn melodies of ska were broken down to sax and trombone for rock steady but remained an essential melodic component of the music. Sweet vocal harmonies like those of the Heptones, influenced by North American soul and rhythm & blues, were also key ingredients. The first time I heard my song on the radio was the thrill of my life . . . I run out of my yard down the lane. ‘Listen! That’s me!’ Yeah, like ‘the British are coming,’” recalls Sibbles. Beyond his work as a singer/songwriter, Sibbles’ contribution as a bass player to the collective output and enduring legacy of Studio One is perhaps his greatest achievement. Sibbles was encouraged to learn the bass by Jamaican musical giant and Studio One keyboardist/arranger Jackie Mittoo, who needed a bass player for live performances of a lounge trio. Because of the Jamaican process of versioning and the liberal recycling of rhythms in subsequent years, many of the songs, rhythms, and melodies written and recorded during the rock steady era continued to adorn the sound of Jamaican music for the next 30 years. The best known of all of Sibbles’ collaborations is probably the instrumental “Full Up,” popularized internationally by Musical Youth’s recording of “Pass the Dutchie,” an adaptation of the Mighty Diamonds’ “Pass the Kutchie.” Sibbles’ legacy also endures in Horace Andy’s tribute to him, “Mr. Bassie.” Also well known is the ubiquitous “Real Rock” instrumental, later voiced by Willi Williams as “Armagideon Time” and internationalized by the Clash. Other musicians involved in the Studio One rock steady sessions included Richard Ace on keyboards; Bunny Williams, Joe Isaacs, and Fil Callendar on drums; Eric Frater and Ernest Ranglin on guitar, and the often underappreciated horn section of Felix “Deadley Headley” Bennett on saxophone and Vin Gordon (a.k.a. “Don D. Jr.”) on trombone. Controversy over Dodd’s contribution to the musical product at Studio One will continue forever, but predictably, Sibbles corroborates the claims of his colleagues that Dodd’s role was generally limited to the business side of the operation. “Coxson is known all over the world as the producer. [But] we [studio musicians] were producing the songs. Coxson was the executive producer. That’s what Coxson is . . . [Dodd] don’t know a G note from a F note. He can’t identify a musical instrument’s chord or key, or nothing like that. But he has the studio, and he has the finance to do it, so that makes him an executive. The producer is the guy who sits inside and . . . gets into his soul to find the right thing, or the thing that works. Other Heptones releases from the early ’70s were Book of Rules (Trojan) and the lesser-known Harry Johnson-produced album Cool Rasta (Trojan), recorded just before the group benefited from the internationalization of reggae via Island Records. The Danny Holloway-produced Night Food and Lee “Scratch” Perry-produced Party Time were the fruit of the association with Island. Sibbles left the Heptones from 1977 to 1995. As a solo artist, Sibbles worked with Lloyd “Bullwackie” Barnes, Lloyd Parks, Sly & Robbie, Augustus Pablo, and Lee Perry, but primarily produced himself. Sibbles moved to Canada in 1973 and became a sizable pop reggae star, but he feels in retrospect he lost touch with the currency of Jamaican music. “I think that [moving to Canada] was the worst thing that I ever did, because I just went so far and couldn’t go no further there. I was trying my best to keep up as much as I could, but I lost touch with what was happening here in Jamaica.” In Canada, Sibbles won a Juno award, recorded an album for A&M and cut several good albums for Pete Weston’s Micron label. These include one of his best albums, Strictly Roots, a heavy drum & bass workout backed by the Roots Radics. In recent years Sibbles has been working on new material at his studio in Kingston. He’s also producing for popular artists, up and coming lyricists, and composing new songs. In the near future, he plans to release more original material. Despite his ambivalence about certain aspects of his career, Sibbles has always felt that music is his raison d’etre. “After a while one day I sat down and said ‘my God this was my destiny,’ ya’know this music thing and what ever power it was, was showing it to me all the time from when I was a kid . . . it took me all my lifetime to realize that, yeah mon. I realize I was made for this.